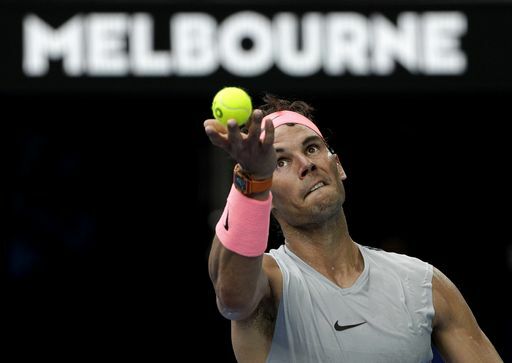 Quarterfinal play begins at the Australian Open on Tuesday, with top-seeded Rafael Nadal continuing his quest for a second Australian title and 17th Grand Slam championship overall, and Caroline Wozniacki looking for her first anywhere. Nadal will play the opening night match on Rod Laver Arena against Marin Cilic, who has lost five of six matches against the Spanish lefthander. The second-seeded Wozniacki, who could return to the No. 1 ranking with a win here, plays Carla Suarez Navarro. First up is a quarterfinal between No. 4 Elina Svitolina and Elise Mertens, who is on a nine-match winning streak. That will be followed by the other men's quarterfinal Tuesday: Grigor Dimitrov against Kyle Edmund, the only British male in the draw after Andy Murray withdrew to have hip surgery.